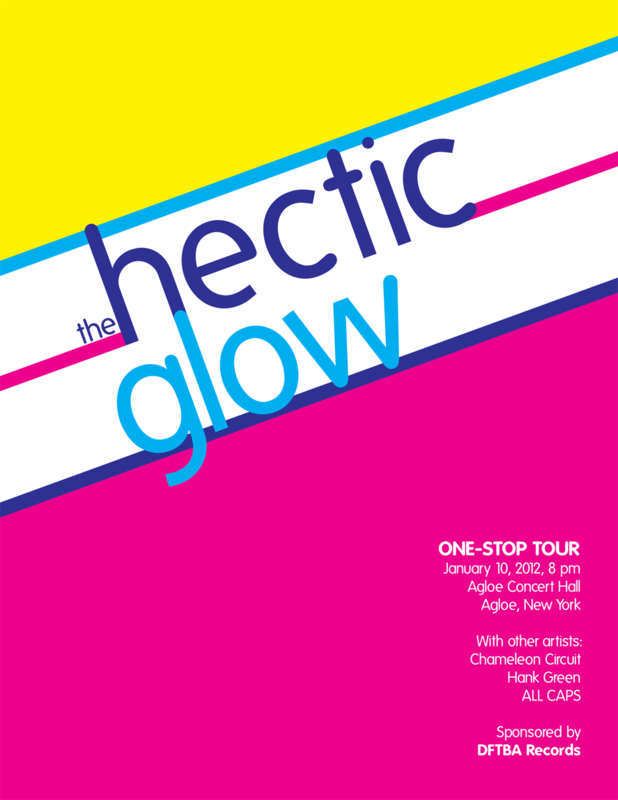 Based on a fictional band from the book The Fault in Our Stars by John Green, The Hectic Glow poster combines bright colors with 20 degree angles for a "hectic" and distinctive look. The bright colors contrast with each other, yet are complementary in their intensity. This poster can be seen in the background of one of the videos on Green's YouTube channel and can be bought online along with stickers at Storenvy. The design is now sold on shirts on DFTBA Records as a part of the official Fault In Our Stars merchandise.